An ‘America First’ policy as envisaged by the newly elected president of the United States, Donald Trump, could have far reaching consequences. Economists at the wiiw discussed the economic and geopolitical implications for the CESEE region. Donald Trump’s victory in the US presidential election creates a very high degree of economic uncertainty in the short term. This could persist over the medium term, depending on the policies implemented by Mr. Trump when he takes office in January. The reduced likelihood of Fed tightening in December will produce some short-term relief for countries in Central, Eastern and Southeathern Europe (CESEE) such as Turkey running large current account deficits and dependent on capital inflows. In security terms, Mr. Trump’s victory means further US disengagement from Europe, creating a vacuum which Russia is likely to at least partly fill. The EU will not step up in the short and medium run as a serious security power. US relations with Russia will receive a boost in the short term, but there is a high probability that Trump and Putin will fall out at some point. US relations with Turkey could also improve in the near term, but there are significant areas of potential disagreement over Syria. A successful conclusion of the Transatlantic Trade and Investment Partnership (TTIP) agreement is now very unlikely. If Mr. Trump follows through on protectionist promises, global trade flows will decline. This would hurt the more open economies in CESEE in particular. The impact on European domestic politics is likely to be a greater legitimacy for populist forces, affecting upcoming elections in Austria, the Netherlands, France and Germany. Financial markets panicked when first election results were made public. Yet, Wall Street reacted positively on the election outcomes against all expectations and financial markets have calmed down after his victory speech. From next year, a fiscal stimulus via infrastructure spending is likely, given Mr. Trump’s previous pledges, emphasised in his acceptance speech. This would provide a certain short-term boost to US economic growth with spillovers to the global economy. However, generally over the medium term there is a great deal of uncertainty around Mr. Trump’s economic policies. It is very likely that this uncertainty could affect economic confidence in Europe. Any further weakness in European economic activity would further increase expectations that the ECB will not wind down its quantitative easing (QE) programme any time soon. This would put downward pressure on the Euro. If there is a setback in US growth as a result of Mr. Trump’s policies (for example due to greater protectionism), and a broader downturn in global trade volumes as a result, CESEE’s more open economies (notably Slovakia, Czech Republic, Hungary and the Baltics) would be negatively affected. If Mr. Trump chooses to support the domestic energy industry with subsidies and deregulation (as appears possible) this would provide a boost to US energy production, potentially keeping oil prices lower for longer than currently expected. This could support private consumption growth in much of CESEE, but would further delay the economic recovery of oil exporting countries in the CIS, Russia in particular, as well as the countries that rely heavily on them for trade and remittances. Mr. Trump’s protectionist instincts are well known. He is notably against big trade deals. As a result, the chances of TTIP (Transatlantic Trade and Investment Partnership) and TTP (Transpacific Partnership) being successfully completed and ratified in the near future have fallen to practically zero. Source: UN Comtrade. Data for 2014. American security disengagement from Europe is already underway to a certain extent. This will likely now continue under a Trump presidency. A full scaling down of NATO is possible but not likely. The US military would resist this, and overall Mr. Trump appears keen to increase military spending. Nevertheless, American disengagement will create a vacuum in European security. Europeans are highly unlikely to fill this gap. The appetite for greater military spending and military activity is very low in many key EU member states, notably Germany. The ability of France and the UK—the two traditional EU military powers—to provide leadership is very limited, with both distracted by domestic issues, including Brexit. Those in CESEE who are more afraid of an increasing Russian influence (for example the Baltic states, Poland and Romania) will certainly push to increase security capabilities in the EU. However, those countries with more accommodative attitudes to Russia will probably resist. As a result, progress on the EU's Common Foreign and Security Policy (CFSP) will be limited. We do not expect significant further US engagement in the Russia-Ukraine conflict, as long as Russia does not make additional territorial claims in Ukraine. If Mr. Trump makes moves to reduce or remove the current sanctions on Russia, he will be pushing at an increasingly open door among European countries, many of which would also be willing to consider a partial or total removal of sanctions. Source: NATO (The cut-off date for information used is 1 July 2016. Figures for 2016 are estimates. ), World Bank for data on Russia. Note: Data for Bulgaria do not include pensions, wiiw visualisation. 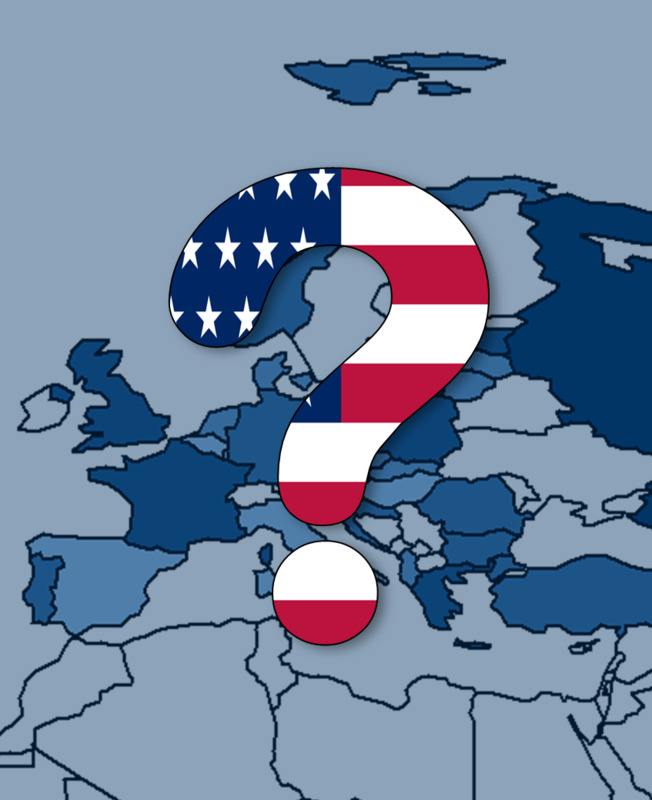 US disengagement from Europe will be welcomed by Russia, and could embolden Moscow in pursuing its own aims in CESEE. Mr. Trump has spoken positively of Vladimir Putin, the Russian president, and has shown an unwillingness to comment on Russian internal affairs (something welcomed by Mr. Putin). Overall we expect Mr. Trump to be more accommodative towards Russian interests in CESEE than his predecessors. However, over the medium term there appears a reasonable chance that Mr. Trump and Mr. Putin will fall out. Mr. Trump’s erratic approach and tendency to criticise could cause offence at some point. If Mr. Trump’s support for the US domestic energy industry leads to increased oil production and lower prices, this could be one potential flashpoint. Higher military spending by the US could also provoke an arms race over the medium term. Note: ECB (ECB reference exchange rate, Russian rouble/Euro); finanzen.at (Brent crude oil). While many in Turkey have criticised Mr. Trump’s remarks about Muslims and women, his reaction to the coup attempt in July gained him some credit. This has been reinforced by Mr. Trump’s refusal to criticise Turkish domestic policy. However, the potential for conflict between a Trump administration and the Turkish government over Syria is clear. Mr. Trump is vocally pro-Kurdish, and has said that Turkey can do more against ISIS. In the short run, the reduced likelihood of Fed tightening in December will produce some short-term relief for CESEE countries such as Turkey running large current account deficits and dependent on capital inflows. We believe that on balance Mr. Trump’s victory will strengthen populist forces in the EU. The spectre of someone with Mr. Trump’s policies taking power in the US increases the legitimacy of similar politicians globally. The chances of victory for Norbert Hofer, the FPÖ candidate in the Austrian presidential election on December 4th, have probably increased. Most problematically, Mr. Trump’s victory is likely to give a boost to Marine Le Pen in the French presidential election in April-May 2017. A victory for Ms. Le Pen (a strong opponent of the EU’s supranationalism and the Euro) would further undermine the EU’s ability to reach consensus on key issues.